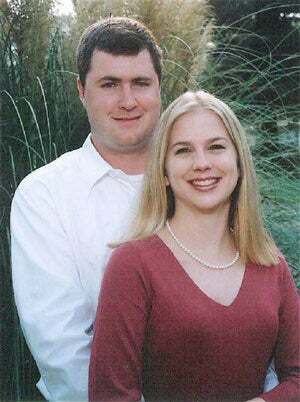 Alabama prosecutor Don Valeska has announced plans to charge David Gabriel Watson with the murder of his wife Tina, who died while scuba diving on their honeymoon, if he can prove that Watson plotted to murder Tina while in the U.S.
As Hortense explained over the weekend, there are two different stories about what happened underwater six years ago. Watson claims that he was scuba diving with his wife when Tina dove too deep and began to drown. He says he tried to save her, but during the course of his struggle, his mask and regulator was knocked askew. Watson says he returned to the surface to get help, while Tina drowned beneath him. Prosecutors believe that Watson began planning to murder Tina long before the honeymoon. The fact that Watson took out a life insurance policy for Tina while still in the US leads Valeska to believe that the crime truly began while on American soil. The coroner stated that he found it likely that Watson turned off Tina's air supply and held her underwater until she could no longer struggle. Tests proved that there was nothing wrong with her scuba gear, and Tina had no preexisting medical conditions that would help explain her death. There is also a video that shows Watson swimming away while Tina sank to the ocean floor (as seen in the image at left). And yet, despite all this, Watson was only sentenced to a 4 year sentence, of which he will only serve 12 months. Australian prosecutors have said that they were unable to charge Watson with murder due to a lack of evidence. Queensland's most senior prosecutor, Tony Moynihan, said today that he stands behind the decision to lessen Watson's charges to manslaughter. "The decision to accept Mr Watson's plea of guilty to manslaughter was made after a careful and thorough examination of the admissible evidence, and was not taken lightly," Mr Moynihan said. "Given the complex circumstantial nature of the case, Mr Watson's admission that he breached his duty to render assistance to his wife ultimately meant there was no reasonable prospect of proving, beyond a reasonable doubt, that he was guilty of murder." Valeska is unsatisfied with this explanation, as is Tina's family. Valeska said the Alabama police monitored the case because Tina's family was "so frustrated with the Australians' slow progress." Valeska plans to continue their investigation of Watson, and he seems certain that Watson is guilty of more than just manslaughter. "We contend the plot to kill her started here in Alabama," he said. "We'll look at a variety of charges, from murder to perjury to fraud." However, Valeska concedes that "whether two countries can charge someone over the same murder remains to be seen. A judge here may turn around and say that he can't be put in jeopardy for the same crime twice."